This morning the weather in Great Langdale was sunny and warm with a bright blue sky. We are joined on site by Jamie Wood from the University of Gloucester. Jamie will assess whether it is possible for us to use OSL (Optically-Stimulated Luminescence) dating to help understand the features in Trench 1 and the quarrying in Trench 2. The technique, while not as precise as radiocarbon dating, is perfect for circumstances where there are no suitable samples of charcoal or bone. The technique does, however, require soil samples to be carefully removed for laboratory analysis. Unfortunately, it turns out that it is not possible to date Copt Howe using OSL. The ground is too rocky for the necessary samples to be extracted. While Trenches 1 and 2 are being evaluated, I explore how the unbroken sunshine has transforming Copt Howe. 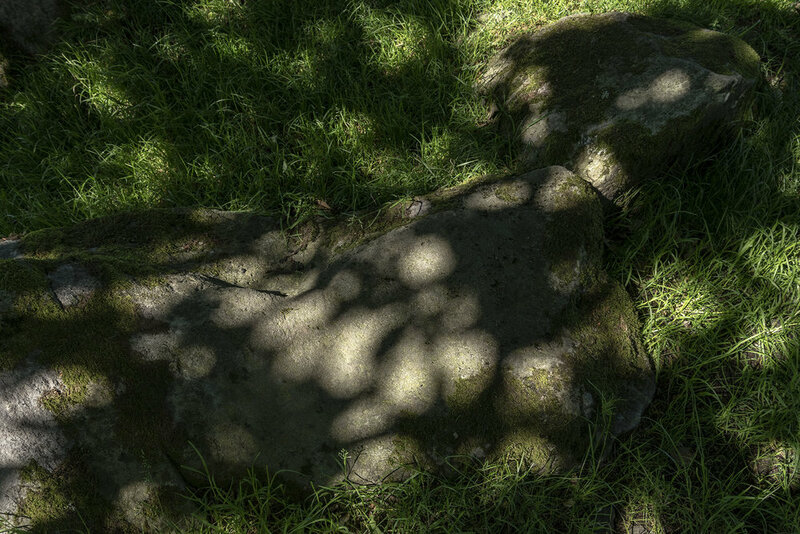 In the morning light, the Boulders were shrouded by dappled shadows cast by a nearby oak tree. 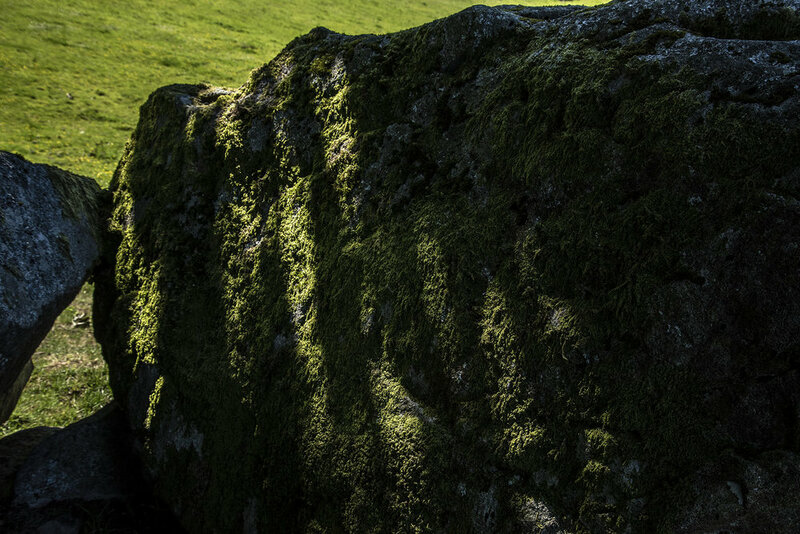 As the tree shadow animates the rocks and ground with shifting patterns of light and dark I am reminded of my research into optical effects. As sunlight passes through the leaves of the tree, the multitude of small apertures are projecting images of the sun onto the ground below. Where the projected light from the sun interacts with the ground, numerous patches of light are visible. Each is effectively a projection of the sun's disc, and where they meet relatively smooth surfaces, such as stone, their circular form becomes apparent. Sunlight at Copt Howe also has a more specific significance. By spending time at the site, we began to see how different rock art images were lit at different times of the day. In summer, the motifs above Trench 3 were best seen mid-morning. By lunchtime, the main panel of symbols above Trench 1 became illuminated. With the sunny weather, we noticed how the play of light illuminated these motifs in a sequence. 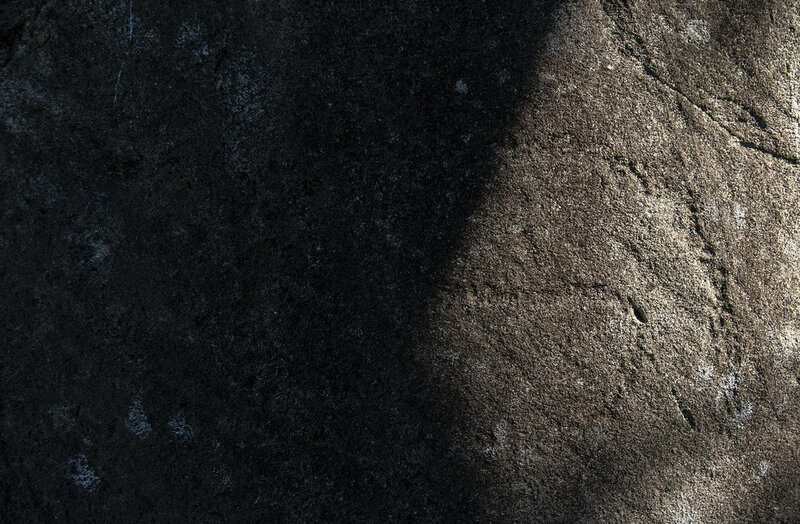 Due to the slight curvature of the rock surface, certain images would be highlighted by oblique sunlight at different times. As some motifs were clearly revealed, others were eclipsed by shadow. This offered an animated sequence which took over an hour to unfold. As this roughly coincided with the middle of the day, our team regularly gathered to watch during lunch break. I recorded a time-lapse animation. Now that it has been evaluated for OSL sampling, Trench 2 can be finished. While the deposits we had excavated there appeared to be modern, it was worth just double checking whether anything lay sealed beneath. The ground was so compacted from years of visitors that we had to use mattocks. 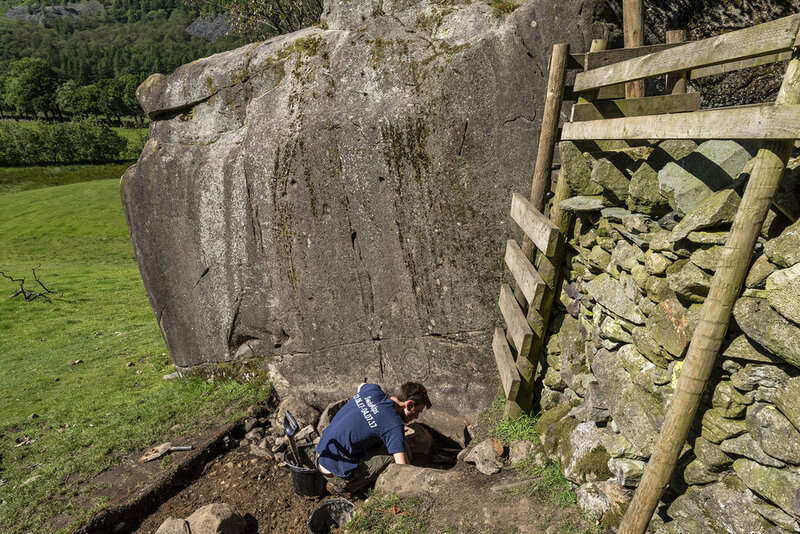 This was also an opportunity to check whether any of the large stone fragments in this trench had surfaces decorated with art, and therefore that this Boulder had been carved in the Neolithic.